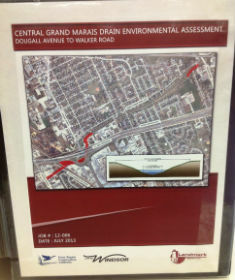 An addendum to the Environmental Assessment report for the Grand Marais Drain (Dougall Avenue to Walker Road) can be read by the public at the Central Library. Ask for the document at the second floor Reference Desk. For in-library viewing until mid September.